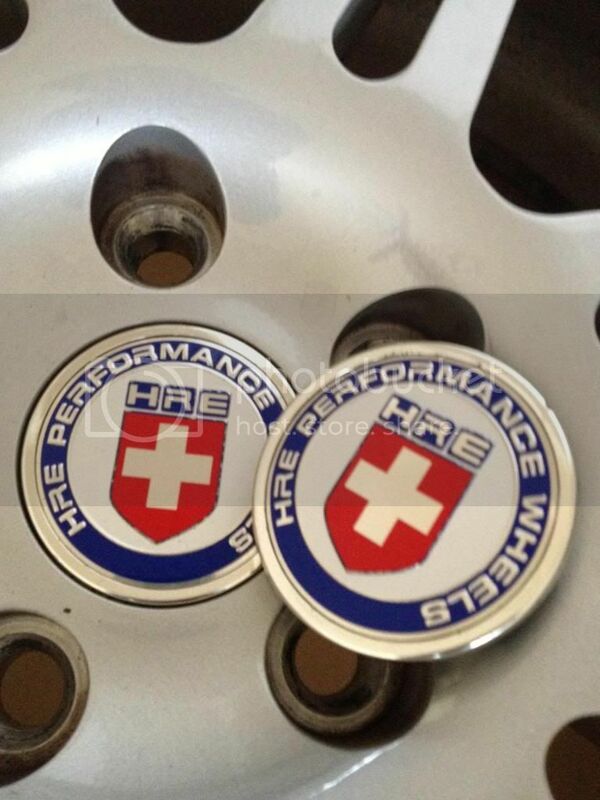 Authentic OEM HRE caps. Will fit most 19" and 20" wheels with 2.5" openings. I am switching from the red/white/blue pictured to gray/blue to match my car better. Shown are two, but this is for a complete set of four. PM a reasonable offer. Shipping is $6 for USPS Priority Mail using their nice box. These will fit on a lot of reps too. Would go good with the fake Brembo brake covers. Joking about the covers, but these do fit into other brand wheels if you so desire. Still avail. Best offer gets them. Bump for the dead. Cleaning out all my leftover BMW stuff since I went back to an Audi. Check my other items for sale and get a package discount. Have blue/gray (new) and red/white/blue (used).